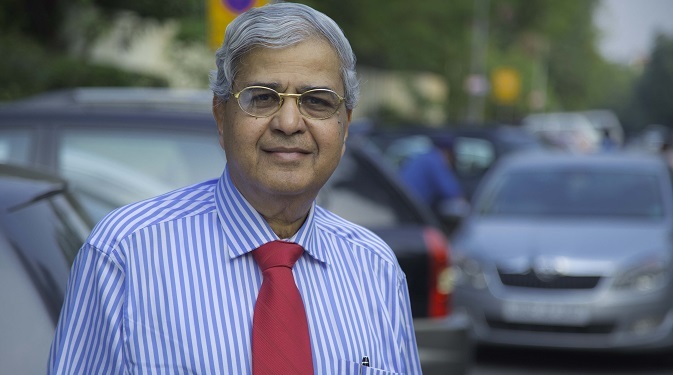 Though primarily intended as an economic union, BRICS is acquiring increasingly political overtones and bilateral ties between members will shape the organization, said Sitaram Sharma, Chairman of the Maulana Abul Kalam Azad Institute of Asian Studies, a Kolkata-based think tank, during an exclusive interview with RIR. Next week BRICS leaders will meet in Russia at the 7th summit of this group. How do you see BRICS after these seven years? “Although I do not think the New Development Bank or even the CRA are measures directly opposed to the World Bank or the IMF (International Monetary Fund – RIR). In fact, the best thing will be if both of them work together as complementary to each other. There is a possibility of working in tandem for a better world. “In today's world, politics and the economy can`t be separated totally. Both are interlinked. We saw the attempt in the last G-20 summit in Brisbane to exclude Russia. It was the pressure of BRICS that brought Russia back. Could you suggest some more areas that BRICS can cooperate with each other? “Usually, the host country takes the initiative in formulating the agenda for the Summit. For Russia and for this particular Summit, economic issues will be the main item on the agenda and for various valid reasons. One, we know that Russia is facing a severe economic crisis because of the drop of oil prices and the economic sanctions. So, economic issues are most important for Russia. Do you see the road for new members of BRICS in the nearest future? “I think it will take some more time. BRICS as it is represents almost one-third of the global population. The combined economy of BRICS is nearly about $20 trillion, which is huge. In this situation, their economies can influence the global economy. The New Development Bank with about $100 billion at its disposal can play a very important role also. As I understand, it will be mainly in the area of infrastructure. Here comes the complementary role of the World Bank and the New Development Bank. They can work together. IMF is very keen that a new entity has come, which would like to play an important role in the infrastructure development of the world. NDB and CRA are only two projects. What other projects can be interesting for India? “Infrastructure is one of the most critical areas for India. The main emphasis of the new government is to develop infrastructure, and they are looking for funding from all over the world, because India does not have that kind of resources. What do think about cooperation in the areas of culture or education? “This is the seventh Summit, but BRICS is still taking shape. To have such an organisation, it takes time. All the member countries of BRICS would like to keep their sovereignty intact, but at the same time to have a role, where they can develop an interdependent economy. Naturally, once the economic cooperation integration is in place, it will lead to the greater political understanding. When sanctions were imposed on Russia, it needed some countries who will understand Russia better. For that, you need a forum to work together. Secondly, once the understanding develops, it will lead to cultural integration, scientific and educational cooperation. It will also lead to the greater flow of tourists from each other’s country. “This world is very different from the last century, and the situation continues to change very fast. It will not take as long as it took the European Union. It will also depend on what kind of developments take place in world affairs. BRICS will be taken by the Western world as a forum to counterbalance it. Naturally, there always will be resistance to that kind of grouping. It is a kind of a grouping of developing countries as opposed to the developed countries. Definitely, BRICS is going to be further strengthened. In coming years need for economic growth is going to be more. Our countries are fully aware that they can achieve the sustainable growth only by working together. Could you suggest some concrete educational and cultural projects for the BRICS countries? “All these member countries have a good number of individual projects on a bilateral basis because these countries are not new to each other. It is not that that kind of relationship will be developing only through BRICS. It will also be bilateral. Secondly, we should also not try to impose too many things on BRICS and should not bring those issues that can be handled bilaterally better. It has to be a collective decision by the BRICS countries and I think the idea should be to work on those broader issues where the combined cooperation of more than two-three countries is required. There is one more idea, to create BRICS Parliament Assembly. Is BRICS in need of such formal structures? “I think it is too premature to talk of these things. At the same time, I would like to submit that we need to nurture BRICS as a concept. It is still in its infancy. Any major step projecting it as a parallel to some kind of blocks will not be a good idea. What will be the biggest challenges BRICS will face in the upcoming summits? “The biggest challenge is to maintain good, friendly relations between the member countries bilaterally. We know that India and China have their own border problems, but both have decided to keep the issue on the backburner and work for economic cooperation. We have very sharp differences. It is very important that the bilateral issues between these member countries, they remain at a very good level. It will only strengthen BRICS.